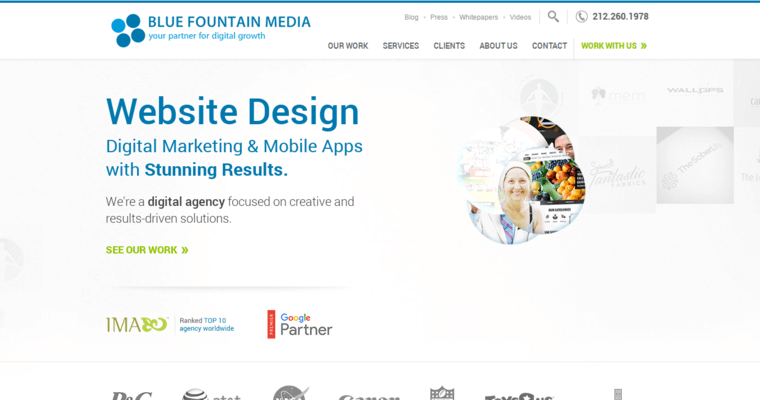 Blue Fountain Media has been rated as one of the ten best digital agencies in the USA. The staff of Blue Fountain Media provides a wide variety of digital solutions for small, medium and large sized businesses. They create podcasts that help businesses to engage with their customers and followers. 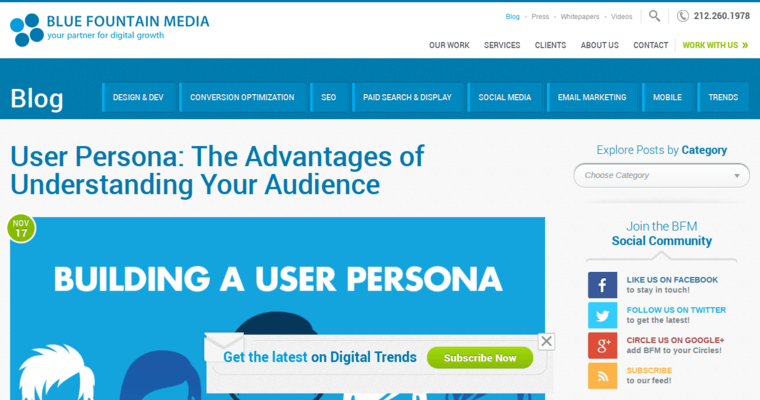 Blue Fountain Media also develops email marketing, mobile apps and banner advertising on behalf of its clients. 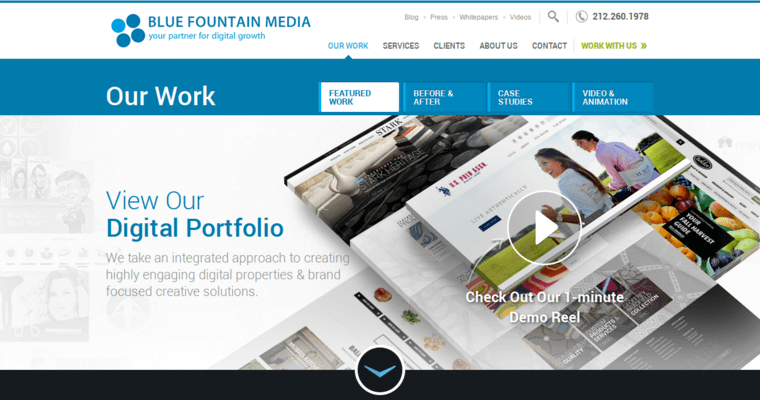 When a client is in need of a better front end design for its website, the team at Blue Fountain Media offers creative and effective solutions that aim to enhance the customer experience. Blue Fountain Media is also known for its viral marketing campaigns, search engine optimization and social media account management. The services delivered by Blue Fountain Media help clients to increase their visibility and to build a higher level of authority with customers. This also boosts the client's profitability and sales.